¿Cómo sería un Internet transfeminista, una economía cooperativista e infraestructuras construidas por el placer y el gozo desde los cuerpos libres y los cuidados colectivos? Será un día entero para compartir, jugar, experimentar y construir conocimiento colectivo. Este es un espacio seguro, bilingüe para mujeres y personas de género no conforme, (no) binarias y sus aliadxs. Este encuentro se lleva acabo en Detroit el 13 de junio del 2018, justo antes de la conferencia de Allied Media el 14-17 de junio. Our fight for transfeminist spaces and platforms are a continuum of our struggles in the physical and digital territories that we inhabit as Black, Brown, Indigenous ppl and communities from the diaspora. We are bodies in resistance. In this network gathering, we'll explore strategies to disrupt capitalism and technologies shaped by privatisation, profit, patriarchy, and heteronormativity. What would a transfeminist internet, cooperative economy, and infrastructures built from the pleasure and joy of liberated bodies and collective care look like? Come plot with us and practice hackfeminist self-defense to short circuit oppressive systems. It will be a day of shared play, experimentation, and wisdom. This bilingual Spanish and English space is for womyn and gender nonconforming POC and their allies. And it's a great opportunity to spend time with other TBTT campaigners in person. 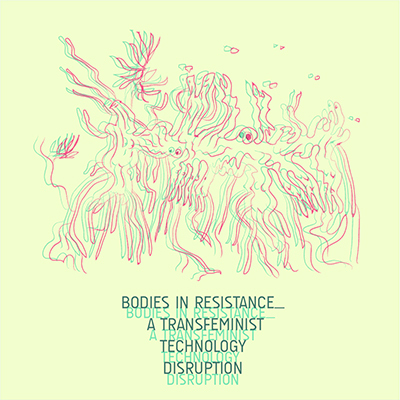 Bodies in Resistance: a transfeminist technologies disruption is a Network Gathering on June 13, just prior to the Allied Media Conference in Detroit June 14-17.